Solo Avital have developed a new fast wireless charging called Connect GO which they have launched via Kickstarter this week to raise the $30,000 required to take the design into production. Connect GO uses WaveRing charging technology to enable your mobile devices to stay charged around the clock. The new system offers the first universal mobile power system which is both compact and easy-to-use providing a quick top up to your smartphone when the battery starts to run low on juice. Watch the demonstration video below to learn more about the fast wireless charging system. We’re MiriQ, a Los Angeles product design company. We engineer and produce world-class mobile phone accessories. This is our first campaign for the CONNECT GO Kit! We are really excited to bring you the first universal mobile charging ecosystem that will keep your phone fully charged throughout your day. 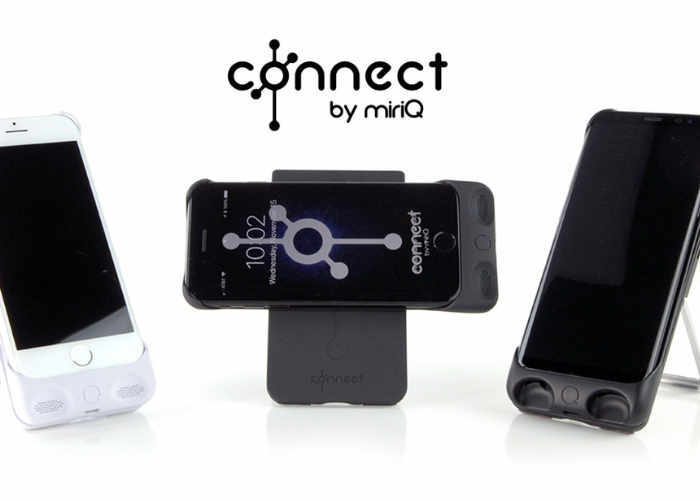 The CONNECT GO Kit is the first universal mobile charging ecosystem that will keep your phone fully charged throughout your day. At the core of CONNECT technology is a magnetic wave-ring which eliminates the use of cables and enables us to use both Android and Apple devices. Today, the majority of the modern world owns a mobile phone or device. We are constantly racing the clock against fading battery life. GO is now available to back via Kickstarter with early bird pledges starting from just $89 and delivery expected to take place during March 2018. For full specifications and more information jump over to the official Kickstarter campaign page via the link below.